This enlightening set of 6 ceramic crafted coffee mug makes a great gift for anyone and of any age! 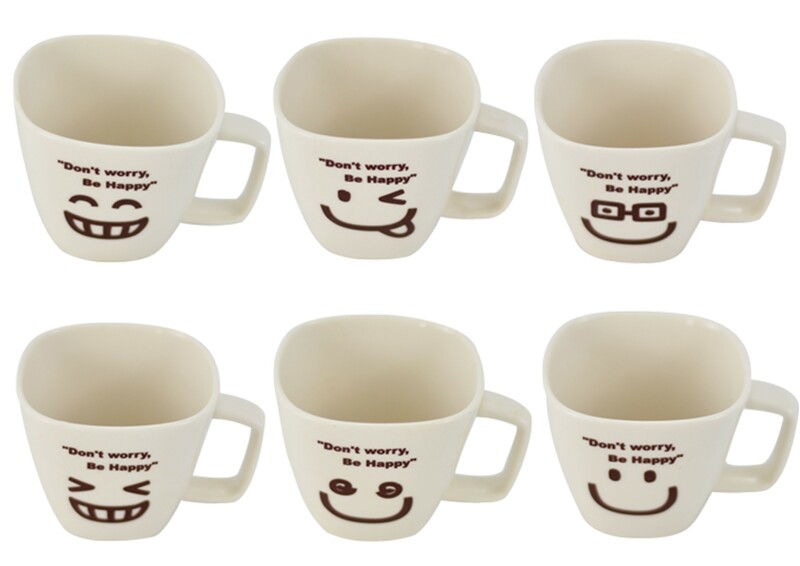 The mug has the well-known phrase "Don't Worry, Be Happy" printed on the outer side. It is made of ceramic and is dishwasher and microwave safe. The capacity of this mug is 9.5 ounces.